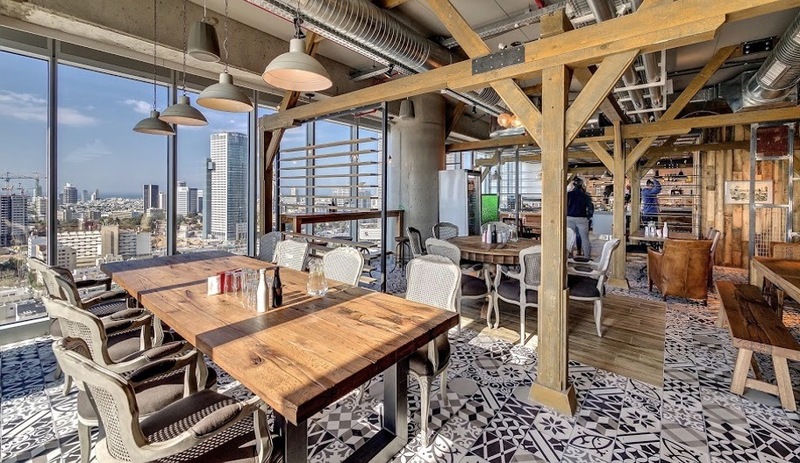 In its Tel Aviv outpost, Google brings in the best design elements of its quirky work-play dynamic. 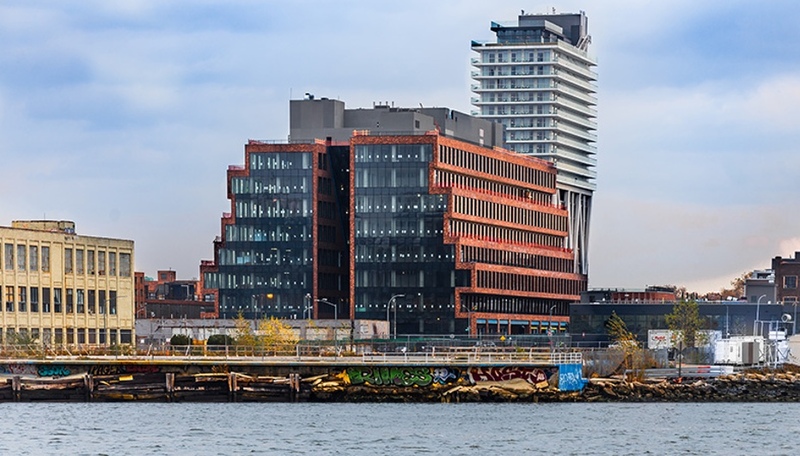 Google has earned a reputation for playfulness, despite its dominating size and influence. 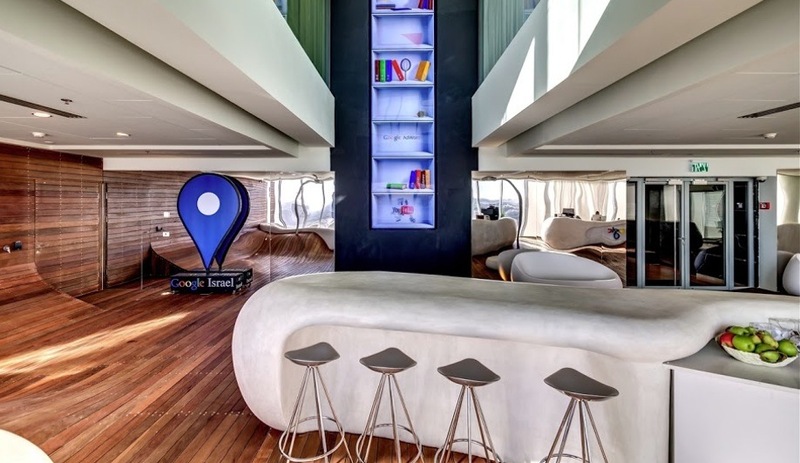 For the company’s new home in Israel, Google turned to Swiss office specialists Camenzind Evolution, who partnered with local firms Setter Architects and Studio Yaron Tal to produce an interior as energetic as the company itself. 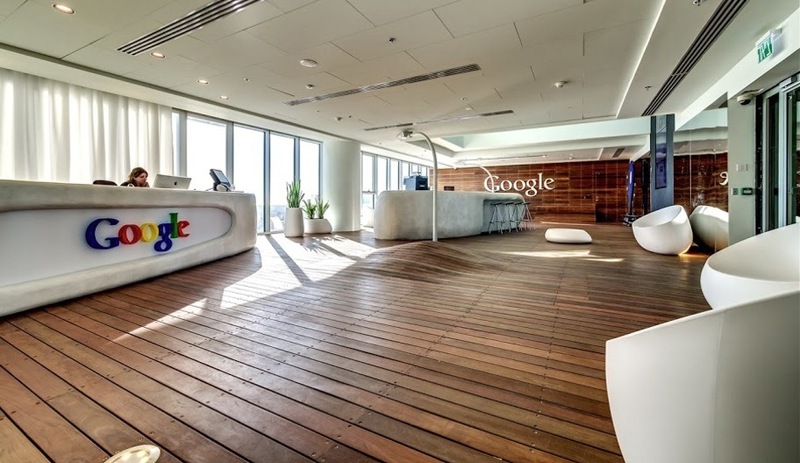 Working with Google employees, the design team devised a different identity for each of the seven floors. 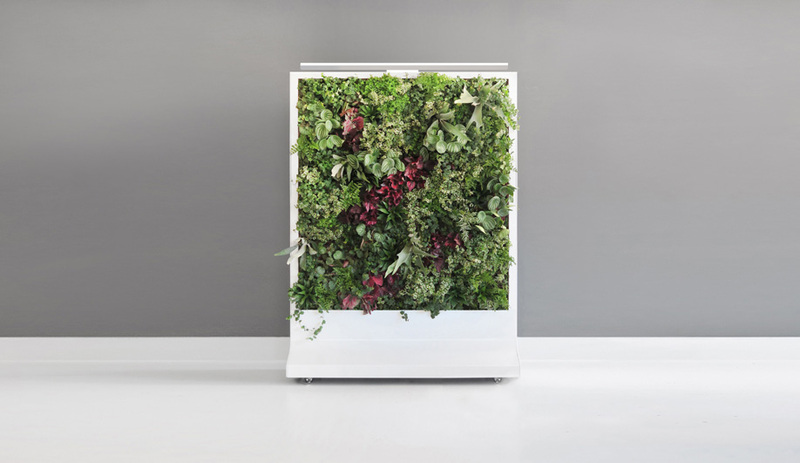 Each theme draws from some aspect of local culture, sometimes in a direct way – for instance, one wall depicts an oversized photograph of olives – or indirect, like the digital-inspired carpeting in the conference room. 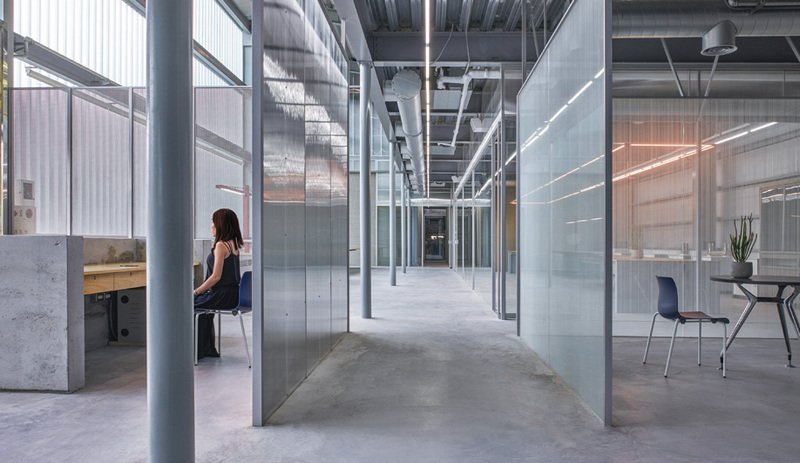 The 8,000-square-metre office comprises 490 workstations, which conform to traditional notion of workspace organization. 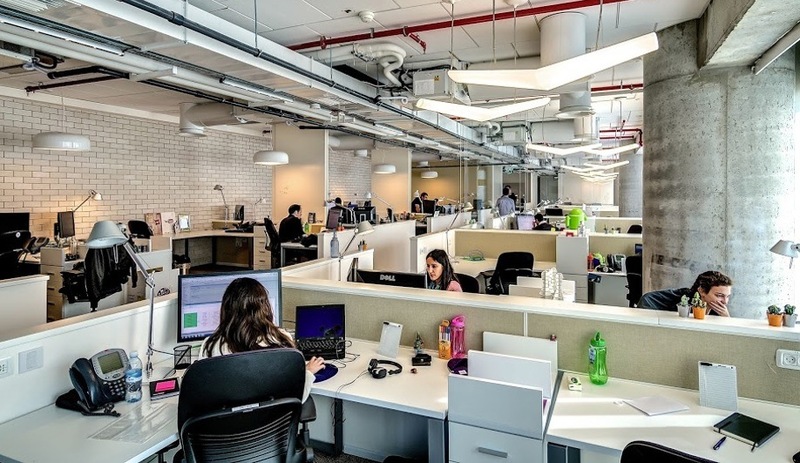 They offer few distractions, prioritizing privacy and focus above all else – crucial for engineers, sales and marketing staff during their peak productive hours. 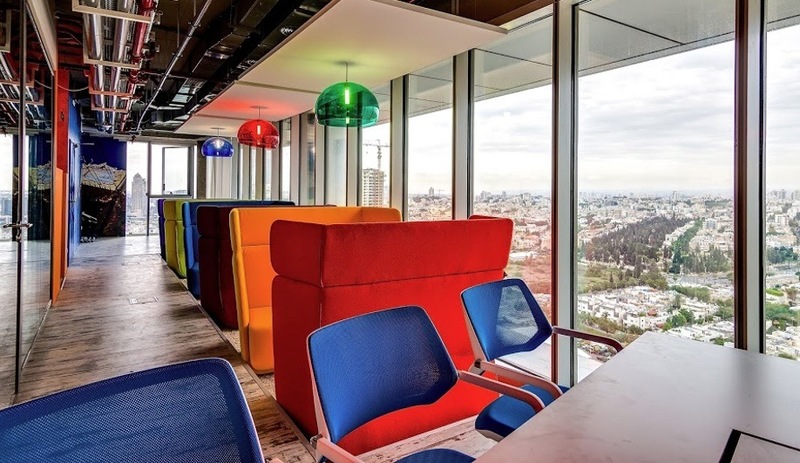 These desking areas are distinctly separated from the roughly 50 per cent of the office devoted to areas set aside for small-group collaboration. 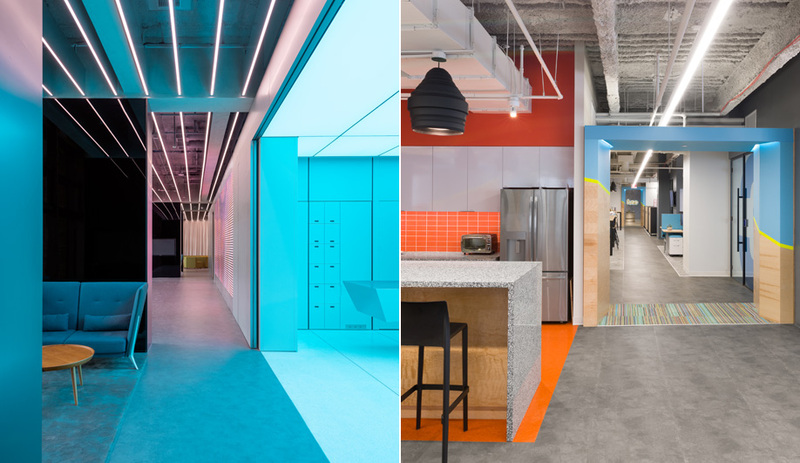 It’s in these spaces that the different themes shine through most clearly: colourful Pop-inspired meeting tables, hallways that mimic narrow cobblestone streets, even a tractor pulling a load of pillows arrayed for a casual brainstorming confab. 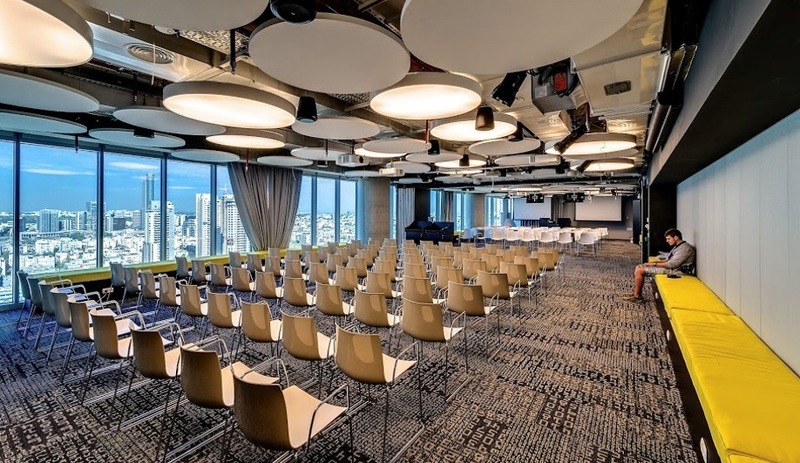 Electra Tower, which holds Google’s Tel Aviv offices, is slated to receive LEED Platinum certification this year – the first building in the country to hit this mark.